Sunday marks an anniversary of a local tragedy. A wildfire near Glenwood Springs 20 years ago, killed fourteen firefighters. As the cycling world gears up from the Tour de France, the sport is still dusting itself off. We hear from Lance Armstrong who was found guilty of doping. Colorado Governor John Hickenlooper was in Aspen this week, discussing two hot topics at the Aspen Ideas Festival - marijuana and fracking. Another Ideas Fest speaker was Grover Norquist, founder of Americans for Tax Reform. A natural history documentary screens on PBS next year and this one is unlike any other nature film. We’ll tell you why. Finally, we’ll take you to Snowmass Village where a giant yoga festival gets underway today. There were surprising new developments this week in an Aspen murder case. We’ll have the latest. The Pitkin County Commissioners approve a stop-gap measure to prevent mega events in environmentally sensitive areas. A huge wedding on the back of Aspen mountain prompted the move. In Aspen Governor Hickenlooper apologizes to law enforcement for mistakes made with the state’s new gun laws. Several sheriffs in Aspen for a conference are concerned about legal marijuana. And, employers are figuring out pot and drug policies for workers. Finally, we check in with newly insured locals who purchased health insurance plans through the state exchange. A judge has released hundreds of pages of court documents in the Nancy Pfister case. We’ll have a quick review. The sheriffs are in town-- for a statewide conference. This is a chance for Pitkin County Sheriff Joe DiSalvo to show off his work in Aspen. Officials and local representatives are tackling how to get faster internet access in rural areas. And, Garfield County may have to help pay for some improvements near Glenwood’s Grand Avenue Bridge. An Aspen nonprofit is heralding the cancelation of a mega dam project in Chile. 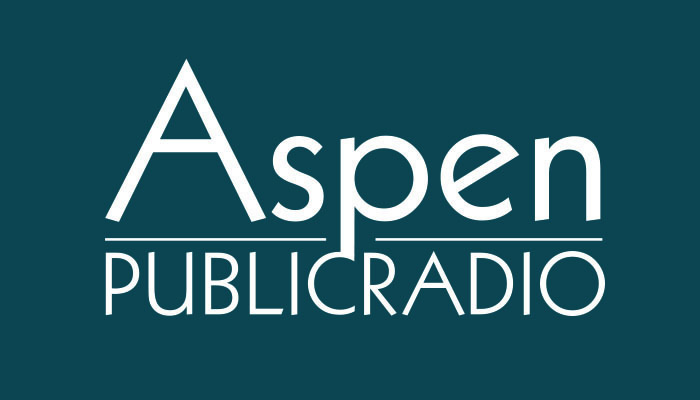 And a hydropower plant in southwest Colorado is now officially up and running… we’ll hear what that means for the Aspen. High water on the Crystal River has forced the Gunnison County Sheriff’s office to call off a search for a missing kayaker. Rivers in the Valley are dangerously high. One stretch of the Colorado River is too full to float, so a commercial rafting company changed its route. A local photographer is back from the Colorado River Delta, where he witnessed the Colorado River reconnect to the sea. Jimmy Carter and Amory Lovins are a few guests set to speak at this summer’s American Renewable Energy Day in Aspen - we’ll have a preview. And, more than a dozen new art sculptures were installed on Carbondale’s busy streets this week. Finally, we’ll take you to Hunter S. Thompson’s old homestead for a cookout hosted by a marijuana advocacy group. A neighboring county is grappling with a huge mudslide, west of the Roaring Fork Valley. It’s so dangerous a search for three missing residents has been called off and another slide could come down. Construction begins in Carbondale for a decorative new roundabout on highway 133. We’ll hear different opinions about a federal plan to beef up environmental protection for certain bodies of water. Some Colorado companies are starting to use the state’s new logo but there have been hiccups for the branding effort. Finally, we’ll hear from a state representative whose district covers Pitkin County about her busy time at the Statehouse. 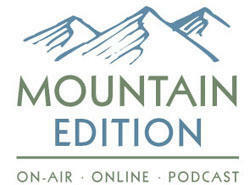 That’s all coming up on Mountain Edition – right now.